Venice seems to be another planet, or at least another way of life. The floating city is made up of 118 mini-islands, 128 churches, 434 gondoliers (the first female in 2010) and 435 bridges! 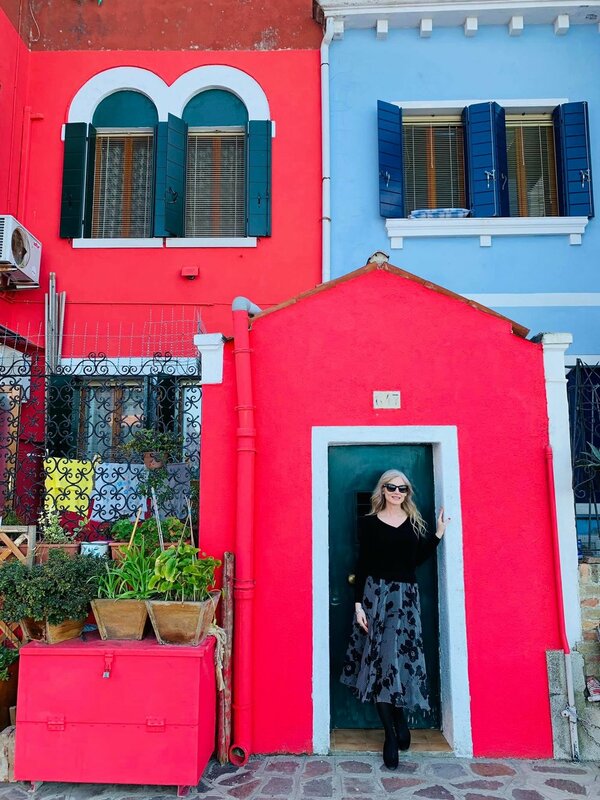 This past weekend Venice turned on her best spring-summer weather and we delighted in the vivid array of colors provided by both mother nature and man - especially on the Island of Burano. When Flavia (Which Way to Rome) and I weren’t hopping on and off the vaporetti (water buses), we were exploring every nook and cranny on foot. Keep in mind that the narrowest ‘street’ is only 53cm wide! Enjoy! Vaporetti, water taxis, gondolas, and walking the streets are the only way to navigate this city. Since a water taxi starts at about €60, get to know the local ferry system. Don’t worry - it’s relatively easy. One-way 75 minute tickets are €7.50 each and it will take most of that time to reach San Marco from the airport or the train station so I would recommend getting a daily ticket at €20 (valid for 24 hours) or €30 for two days. 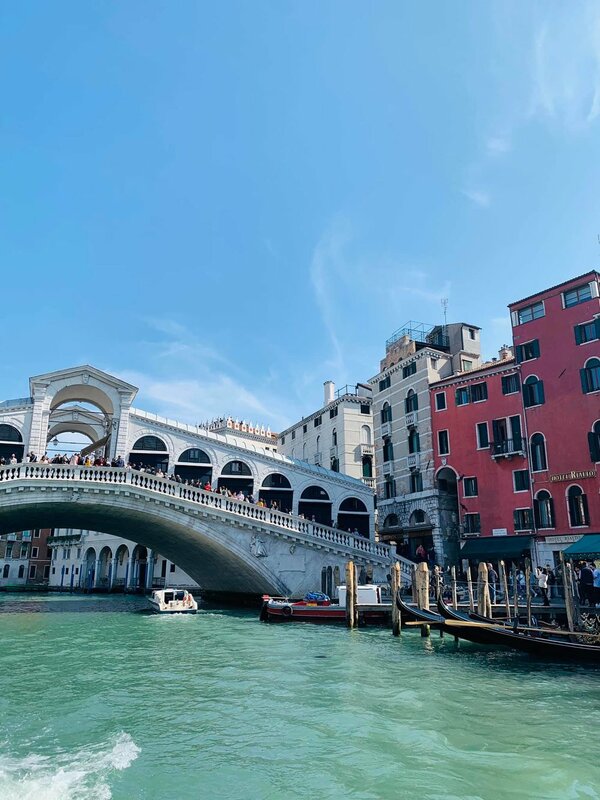 If you’re arriving by train, walk out to the waterside, find dock ‘E’ and take the number 1 boat, direction San Marco, to stop anywhere from Rialto, Accademia, San Marco etc. More directions below for gettting to Murano and Burano! 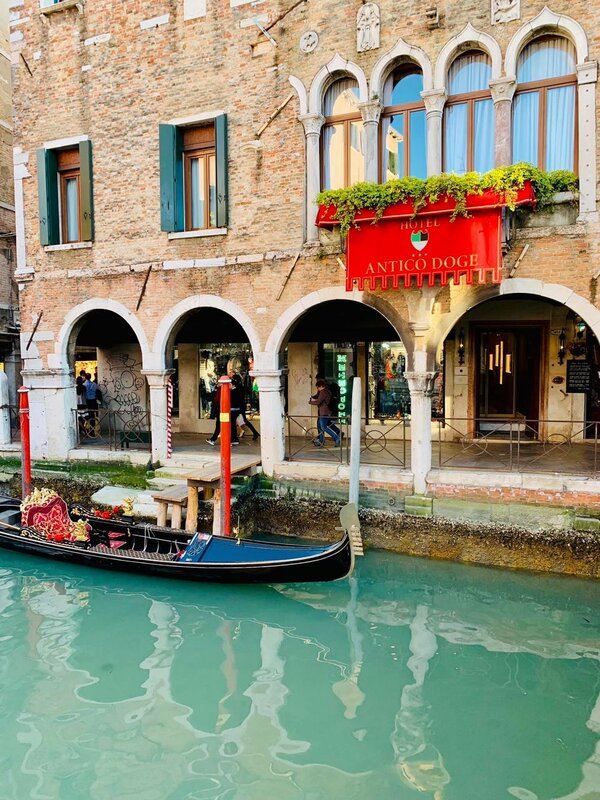 For over 1,000 years, people have been riding in gondolas in Venice. After visiting Venice more times than I can count, I finally took a gondola ride and it was worth every cent. The standard price is €80 for 30 minutes, including being serenaded if you’re lucky (they ALL know how to sing)! We ummed and aahed about it long enough that the gondolier dropped his fee to €70, which is unheard of. Hint: find another couple of people and share the cost. The cooperative of gondoliers sells their actual uniform pieces underneath the Rialto Bridge at Emilio Ceccato. After our ride I was desperate to buy a hat, but after seeing Ceccato’s pricetag of €140, I did some walking around and found the amazing Giuliana Longo’s hat shop where I paid just €70. You’re welcome! 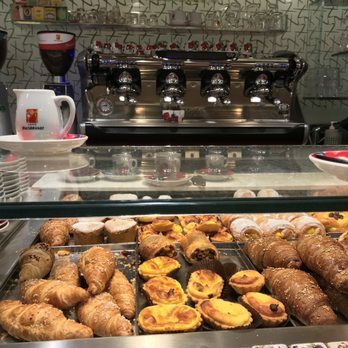 Café Marchini is a standing room only coffee bar and pastry shop filled with locals in Campo San Luca. It’s also open on Sundays when many others are closed. Next to Louis Vuitton in San Marco, look for the entrance way to La Biennale (which opens on May 11) and walk down to the water. On your right you’ll see a bar called ‘L’Ombra del Leone’. Here you’ll pay €1 for an espresso at the bar or €2.50 to be served at an outside table overlooking all the action of the Grand Canal. (We paid €11 for one espresso, one soy cappuccino and two croissants). Waterview: free. Bargain! Fresh pasta. After a well-spent morning wandering aimlessly, good luck brought us to Al Giardinetto da Severino which serves traditional Venetian fare in a former chapel from the 1400’s. We sat in the vine-covered garden courtyard. The squid ink tagliolini with lobster sauce was sheer perfection. Flavia was just as delighted with her lasagne. My local friends confirmed that the pasta there is always good. We’ll definitely go back! Closed Thursdays. Cicchetti. 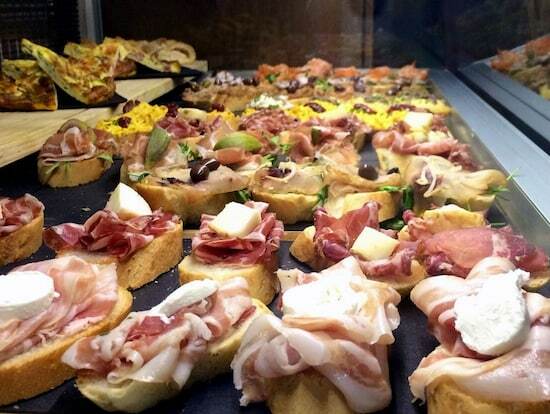 Every blog presumes to tell you the top 10 places for cicchetti - Venice’s version of tapas. No need to reinvent the wheel so here are the views of The New York Times and Rick Steves. In very casual tapas bar, known as Bacari, you’ll find these crusty morsels topped with everything from baccalà (salty cod) to melting lardo (pig fat) and even soft-shelled crab from the lagoon, usually at a delicious €2 each. Share a mixed plate and a bottle of crisp local white wine (I love Soave). 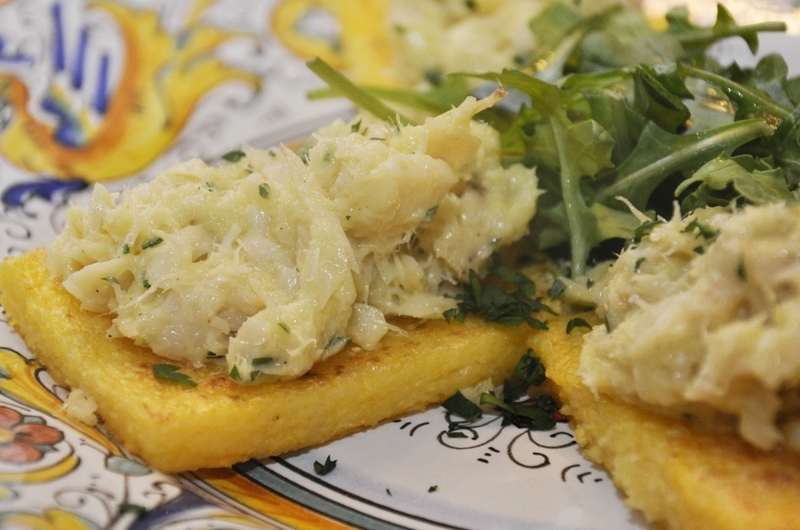 Or Bacaro-hop to try the cicchetti specials in each place. It’s hard to resist sitting in St. Mark’s Square for a coffee or aperitif, so don’t. Pretend for a moment you’re back in 1720 when Caffè Florian opened its doors. 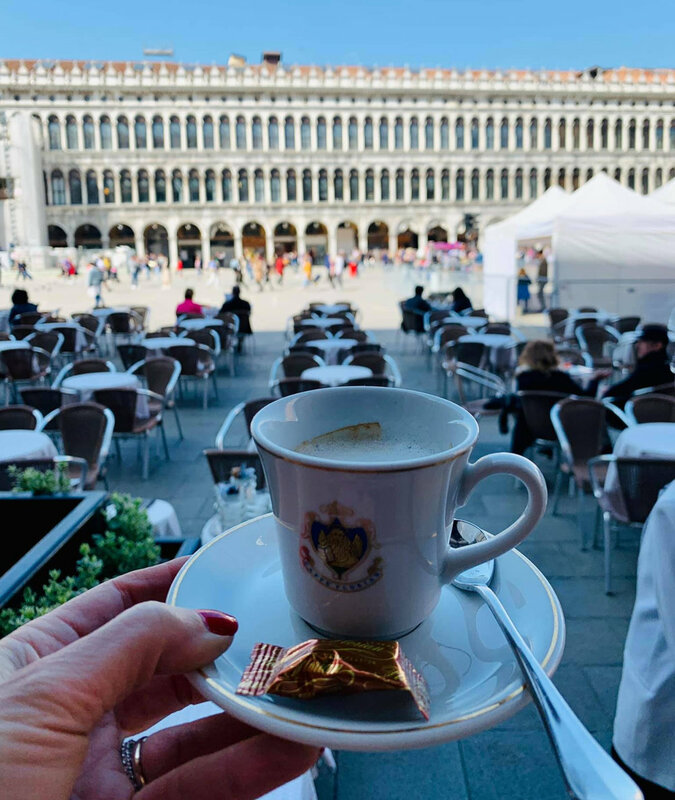 To give you an idea of prices, an espresso at the bar is €3 and if you order one at your table in the square, you’ll pay €6 for the coffee and another €6 for the pleasure of listening to the live musicians. The Florian Tearoom is also a lovely destination. Your decision! 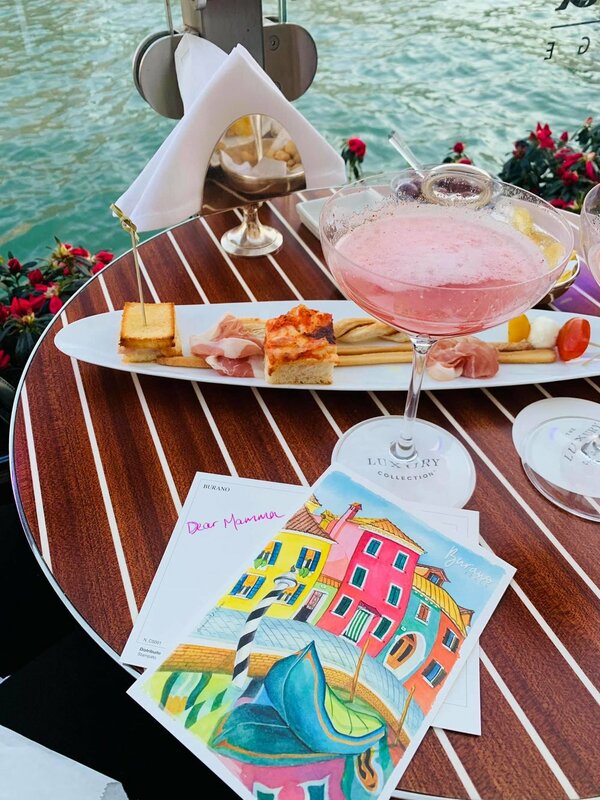 No matter your budget in Venice, there is one luxury you should afford yourself - a cocktail on the terrace of the Gritti Palace overlooking the Grand Canal. If peaches are in season, order a Bellini. Otherwise a Rossini - Prosecco blended with strawberries - is a close second (€21 each). Book ahead to get a table at Osteria Enoteca San Marco. I noticed the chic interior as we passed through the maze of alleyways from Rialto to San Marco. We went inside to book and, assuming we were American, the owner tried to give us a 6:30pm dinner spot. No no, 8:00pm thank you! When we arrived at 7:45 he joked that we’d have to come back in 15 minutes. I liked this place already and luckily the food easily kept up with its surroundings. We devoured our primi of baby gnocchi with artichoke in lobster bisque and paccheri pasta with duck ragù. The dishes were so good that we were inspired to eat dessert. We’d also seen the cheesecake piled high with strawberries on a nearby table. Flavia ordered the Tiramisu and I had the house made pistachio gelato sprinkled with pieces of chocolate praline. I would describe the menu as ‘luxe comfort’ food and Flavia coined the term ‘extravagant but cosy’! Highly recommend. Closed Sundays otherwise we would have returned for round two. 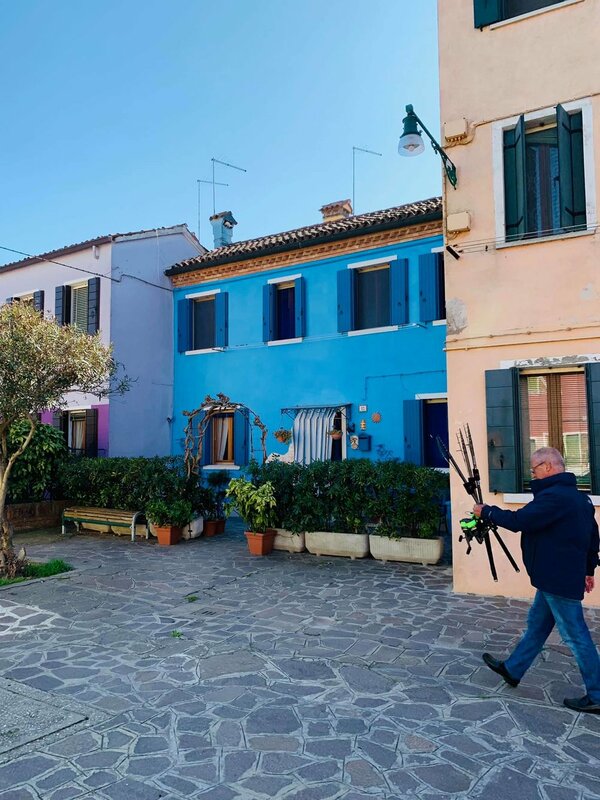 Murano has been celebrated as a center for glassmaking since 1291 when glass-blowers were ordered to relocate there amid fears they might otherwise burn down Venice. It’s easy to reach Murano (composed of seven islands) in about ten minutes by taking the 4.1 or 4.2 waterbus from the Fondamente Nove stop (on the far north side of the historic center). You’ll pass the eerie cemetery island of San Michele along the way. Any Murano gallery will warmly welcome you to watch their glassblowing demonstration in the hopes that you will visit their showroom afterwards and make a purchase. If you want to buy something large, expect to be able to negotiate at least 30-50% discount from their starting price. I can vouch for the quality at Mazzega (ask for Roberto) but do your homework before drinking the prosecco. You’ll find similar pieces in nearly every showroom. Local eats: we were recommended and enjoyed Busa Alla Torre Da Lele. My tip: if you’re seriously interested in buying some Murano glassware, ask your hotel to call a showroom and make an appointment. They will send a private boat to collect you. While there’s no obligation, there is plenty of pressure so be prepared! And if you do buy something, make the most of it and insist they accompany you to Burano. It will be one of the best experiences you have in Venice. 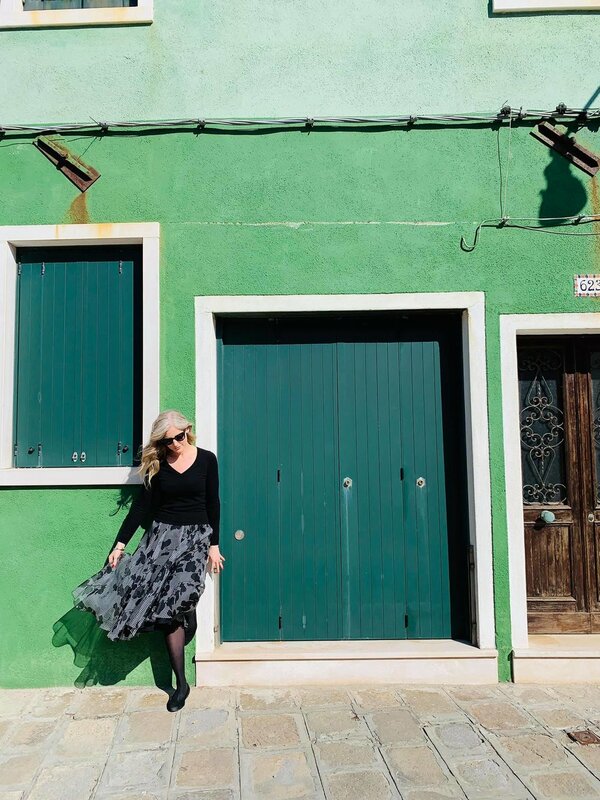 Hop back on the vaporetto to get to pretty Burano. Legend has it that the houses are all painted diversely so that in the thick evening mist, fishermen could still find their houses. Nowadays it’s hard to find fishermen. When they do take out their small boats, they’re just fishing for themselves, not to sell. Apart from enjoying all the color of the island, do see some local lacemakers at work and try some traditional bussolai from Panificio Pasticceria Palmisano, making deliciously soft cookies since 1926. Local eats: a lacemaker’s daughter told me quietly that il Gatto Nero (away from the crowds) is the place to dine well on Burano. 5-star: Gritti Palace. In a word, spectacular. The suites overlooking the Grand Canal are elegantissimo but you’ll find it near impossible to tear your eyes away from the view. Have champagne sent up and watch the spectacle as gondolas compete with waterbuses. And the serenading gondoliers won’t skip a beat. You’ll love every glamorous second relaxing in the Riva Lounge at sunset, sipping on a Bellini made on fresh white peaches, as all the tourists on the waterbuses are taking your photo. Somebody has to do it! 4-star: Hotel Monaco & Grand Canal. And its depandance Palazzo Selvadego. When you arrive at the San Marco waterbus stop, you arrive at the Hotel Monaco. So it’s arguably the best located hotel. The sleek, open reception and terrace on the Grand Canal for breakfast and aperitivo are absolutely lovely. But if you’re on a budget, select their depandance Palazzo Selvadego, one of the best Luxury Hotels and Venues recommended by Condé Nast Johansens. You can use all of Hotel Monaco’s facilities and you’ll be based even closer to St. Mark’s Square (only 20 meters away) - just above Zegna. Ask for #613 for a double room with high wooden beam ceilings and a view through to the Grand Canal! 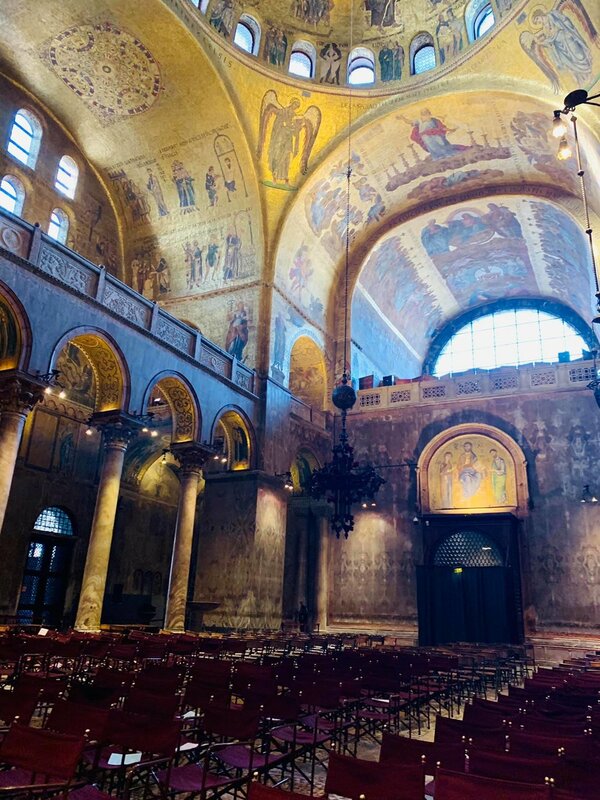 I couldn’t resist the opportunity while in Venice to attend Mass in the Basilica of St. Mark. I awoke early on Sunday morning, wandered the shoreline of the Grand Canal with very few others and then found the side entrance to the Basilica open to allow in people wanting to attend the 8.00AM service. It was lovely. 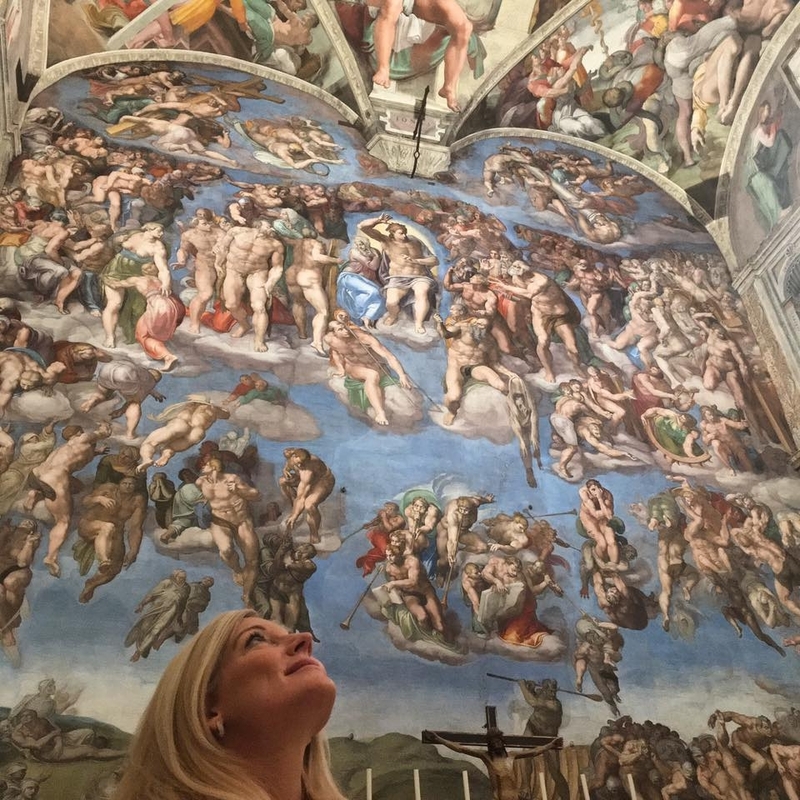 I discovered a few more of the 128 churches while in the city, my favorite of which was Santa Maria dei Miracoli (St. Mary of Miracles) which I would never have found without the help of local friend Federica, an art historian and journalist. Who doesn’t need a miracle every now and again?